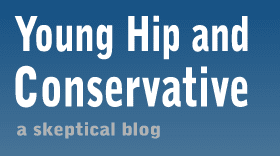 Young, Hip and Conservative: a skeptical blog: Why so many Obama comic books? A friend shared an interesting Cracked.com article about some of the weirdest comic books featuring president Obama in some weird setting, such as a jungle or alien invasion. My theory to why there are so many of them is that the president is a popular character that no one holds the rights to. He is both well-known, well-liked by the target audience and in the public-domain. Popeye is well-known, has a good reputation, but he's not in the public domain. If he was free from copyright restrictions, we should expect to see him linked to a lot of products. Paradoxically, as a fictional character enters the public domain I would expect to see them used very little as their cultural relevance has probably passed. For example, Alexander Dumas's three musketeers first appeared in 1844 but outside of a chocolate bar and the occasional movie they are rarely used to sell products. While a comic book could feature a celebrity like Bono, that might run into trouble if Bono wanted to do his own comic series - possibly about him yelling about stopping supervillains without actually following through. I doubt that trouble would come up with a sitting president who wishes to be taken seriously, and politicians are a different kind of public figure than entertainers. Now that President Obama comics have been shown to be a safe trend, you can expect more people to jump on board.